It’s one thing to bootstrap a new studio. It’s quite another to build a new IP from scratch. Developing your own game engine is something else entirely. Which option did the fledgling Certain Affinity pick? All of them. All while performing co-development work for other partners. It was a bold choice for a new studio, but it also laid the groundwork for CA’s first decade: challenging projects with multiple goals, executed to the highest standard by a multidisciplinary team. And it all started with an April Fool’s Day joke. Back when Max Hoberman was in charge of Bungie’s Online Team, one of their responsibilities was thinking up the studio’s yearly April Fool’s Day gag. One year, they delivered a phony product announcement for a new game called Pimps at Sea. The idea struck such a chord with the fan base that it became something of a recurring joke every April 1, and even garnered some amused coverage from the usually humorless gaming press. When Certain Affinity got up and running, one of Max’s first ideas was to take this ludicrous concept and turn it into a real game. 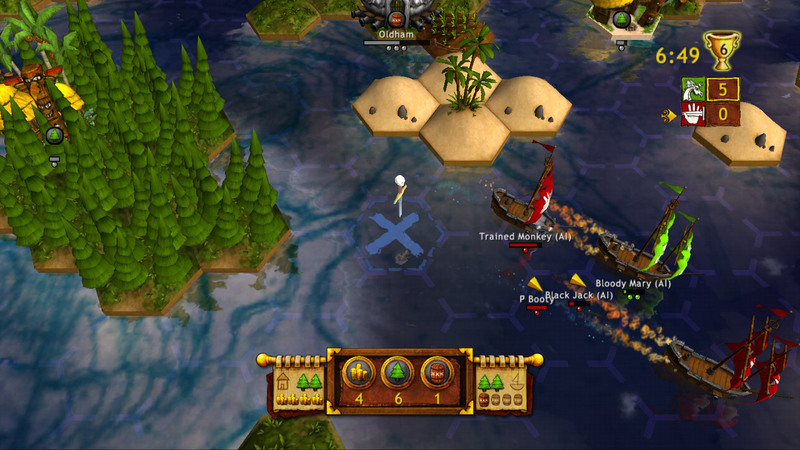 Inspired by the style and pacing of Settlers of Catan, the team replaced pimps with a passel of plundering pirates and set about creating a virtual board game for consoles. This title would settle itself within real time strategy genre bringing together the various inspirations to an active gameplay style. At the time, the only viable places for such a product were the virtual storefronts like Xbox Live Arcade. There wasn’t much precedent for the sort of game they were developing — not on consoles, at any rate — but the team was not intimidated by the lack of prior art. If anything, they were eager to deliver a new IP and gameplay experience to console gamers who might not even know this style of game existed. At the time, Certain Affinity was the epitome of a bootstrap studio: a handful of artists, engineers and designers working out of a small house. They were already quite busy with, among other things, the Halo 2 Blastacular Map Pack — so development could only proceed in whatever free time the team could scrounge. Without a license for a game engine or the resources necessary to acquire one, Certain Affinity did the only thing they could: roll their own. Starting from scratch, the team built the rudiments of a game — renderer, animation, audio, the whole package — and six weeks later had a playable build they could demo to publishers. One of the publishers spoke quite favorably of the game’s water shader — the first known instance of CA demonstrating that, even working within tight constraints, they could deliver work that impressed their industry peers. Because Age of Booty (as it came to be known) was built in tandem with paying co-development work, various team members shuttled onto and off of the project as needs dictated. This led to an unusual state of group ownership; so many different hands had touched so many different parts of the game that every aspect of it seemed to belong collectively to everyone. While this was a pragmatic process designed to keep development moving, it ultimately led to a meticulously crafted experience. Age of Booty is an addictive online strategy game that rewards communication and teamwork. Every aspect of gameplay and design was tweaked, tested, and re-tweaked over time. Subtleties of pathfinding and other esoteric elements were iterated and refined until the team was satisfied. When new functions like auto-targeting showed the potential to add new strategic elements to the game, the team worked to showcase those features and make them fun and satisfying. 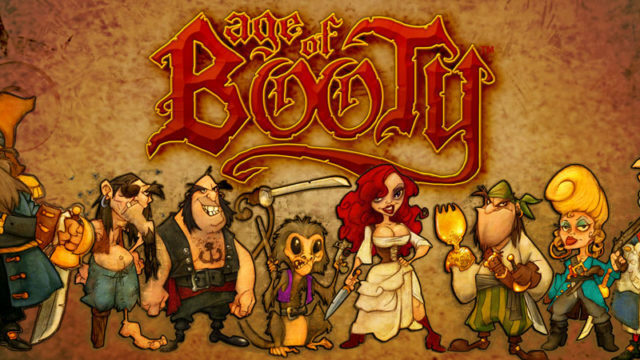 Age of Booty was published by Capcom on the Xbox 360, PlayStation 3, and PC. This marked the first time Certain Affinity shepherded multiple SKUs through certification and localization. Though it was not originally part of the project, the game’s level editor was so well-made and easy to use that Certain Affinity ended up shipping it as part of the final game. This allowed fans to build their own maps, extending the product’s lifespan and ensuring it would develop a cult following that persists to this day. Certain Affinity was able to leverage the lessons learned during Age of Booty’s development for future products. 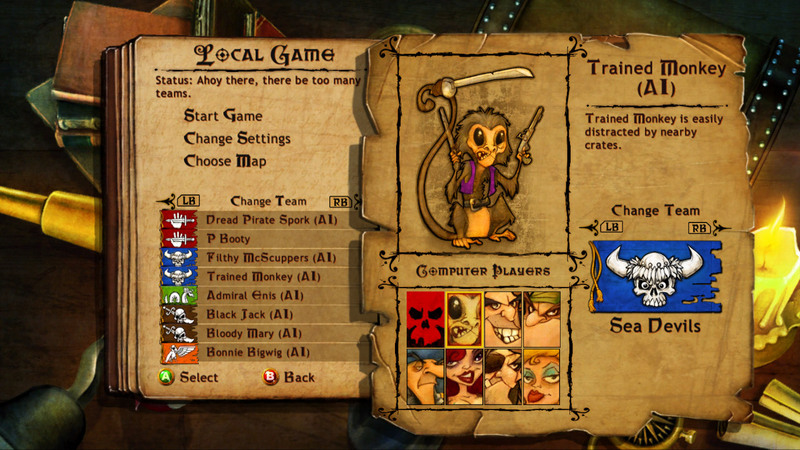 The engine that originally powered Age of Booty became the basis for a later project, Crimson Alliance, as well as demos for other projects. Most importantly, the relationships established by CA during Age of Booty’s development led to any number of subsequent AAA projects with other partners. For these reasons, Age of Booty still occupies a place of honor in Certain Affinity’s history and there still exists the potential to revisit this joyful IP in the future.